Last week was a bit of a tease. Just two weeks earlierI was lamenting how it would be months before I could take my bike out. I was shocked when the weather turned around completely, with a few gorgeous spring days with highs around 15C. I quickly brought my bike into the shop to get its annual tune up, and was commuting to work earlier this week. Only to have snow come again the following day. It was such a slap in the face to have spring yanked out from under my bicycle tires! No use sulking, as there are still lots of great things winter provides, like hearty soups and stews. There are many dishes to warm up the soul when outside is so cold. Like this Japanese Stew. While I am usually leery of making Japanese recipes from a non-Japanese cookbook, I still ventured to make a Japanese Winter Stew I found in Moosewood Restaurant Cooking for Health. I swapped the veggies around, though, for a more authentic feel (power to random purchases from Chinatown! ), but really, you could throw in any seasonal vegetable. I kept the sweet potato and tofu, but I substituted daikon for the turnip, added in 100g of chopped enoki mushrooms and used 4 oz baby spinach instead of mustard greens. 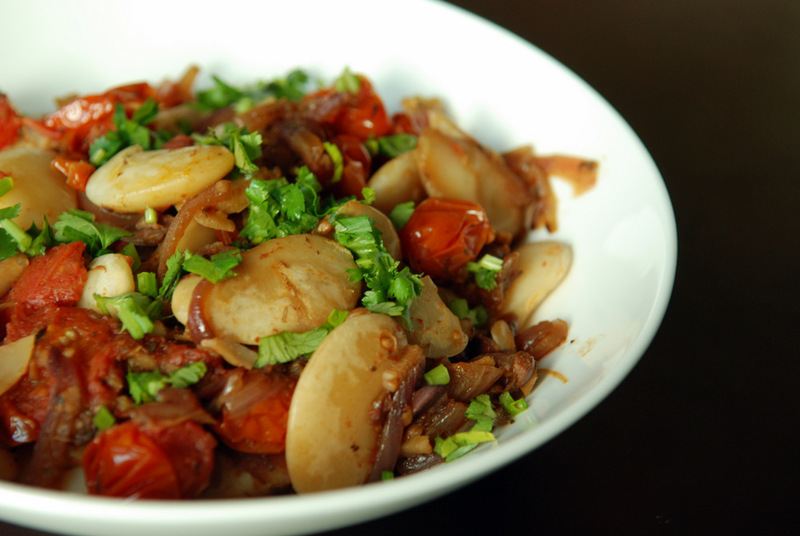 I then topped each serving with chopped green onions and drizzled with a touch of toasted sesame oil. 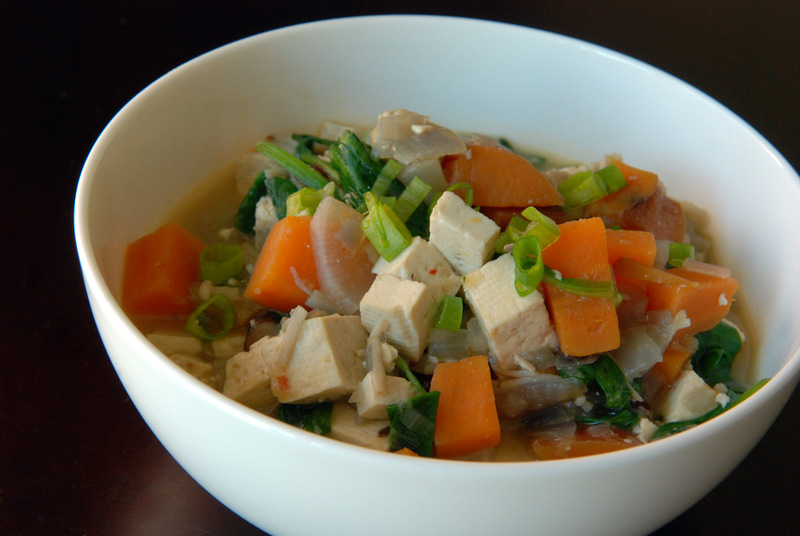 This is a powerhouse of a winter stew, overflowing with vegetables, yet with the comforting miso taste but zippy from the chili flakes and ginger. It balances out so nicely, which is what Japanese cuisine is all about. This is my submission to this month’s Veggie/Fruit a Month, featuring radishes (including daikon), and to Deb for this week’s Souper Sundays. 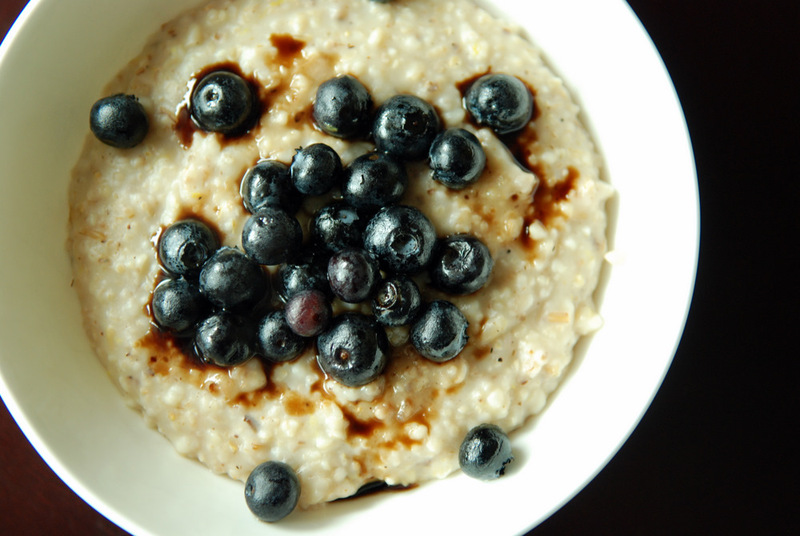 Then there are chia seeds, which I routinely add to my oatmeal and overnight oats, that are packed with healthy omega-3s and fiber. 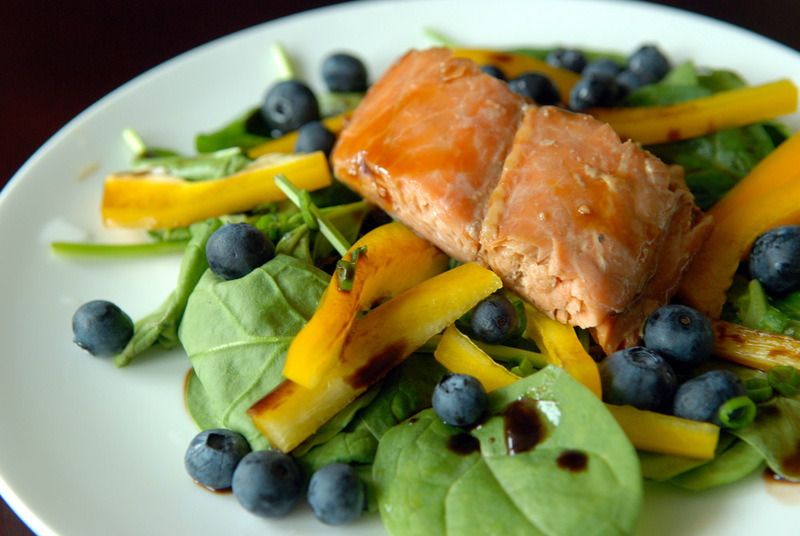 I have been trying to incorporate more of these “high-yield” superfoods into my meals. 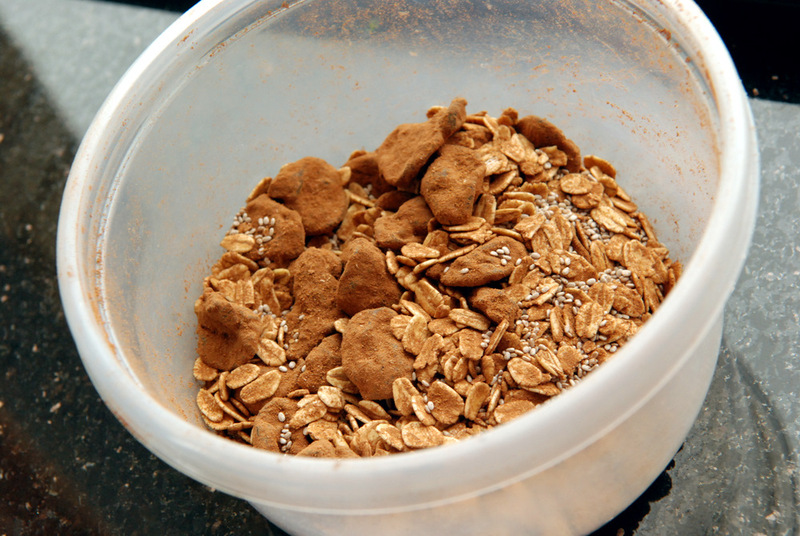 What better time to start your day with a breakfast filled with these seeds. 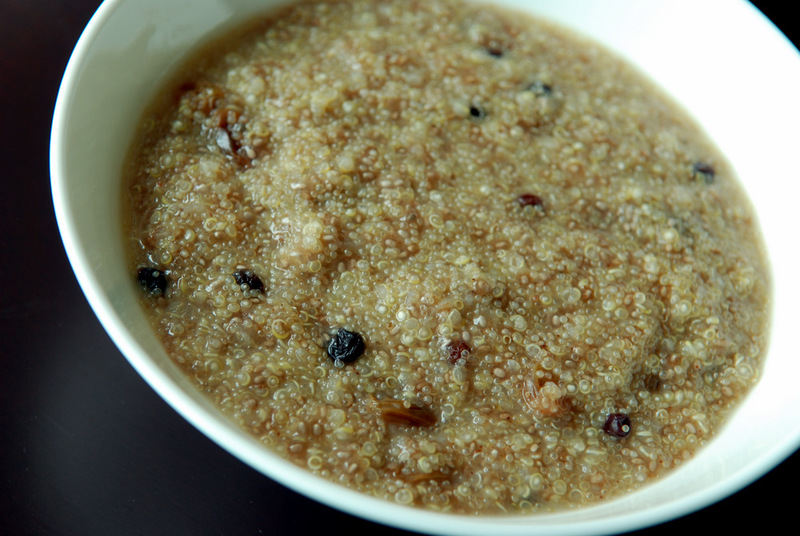 While eating quinoa for breakfast is not new to me, I was interested in combining all of these ancient Latin American seeds into a tasty breakfast. Initially spotted in Radiant Health, Inner Wealth (also posted here), I modified Tess’ recipe to include chia seeds and therefore also changed the fluid volume. 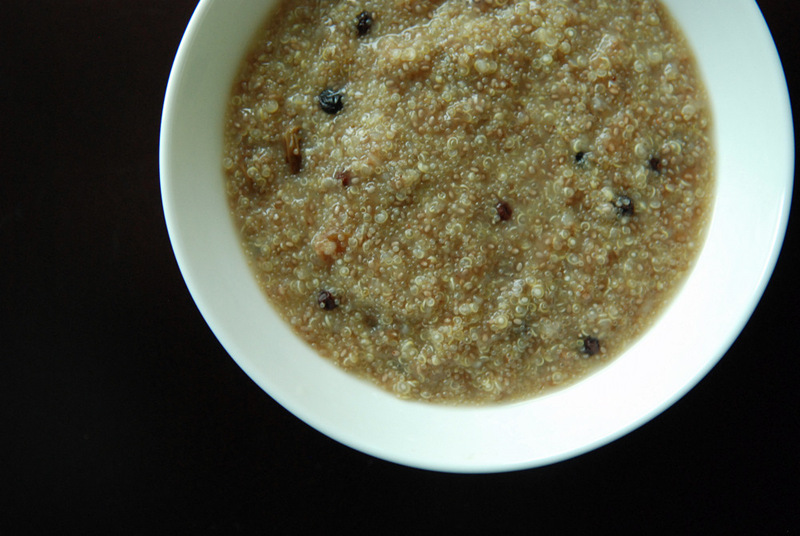 With both currants and raisins, you don’t need to use much agave nectar (or maple syrup), so certainly add to taste. The Indian flavours of cinnamon and cardamom worked well with the sweetness from the agave and raisins. 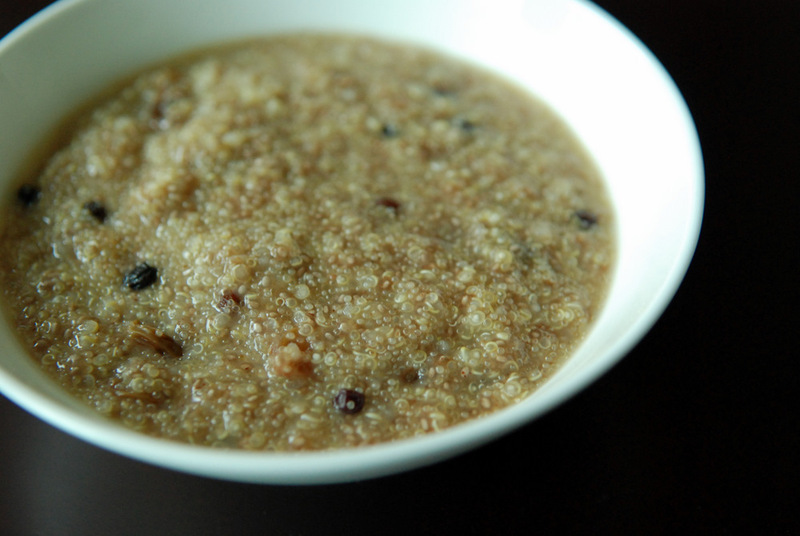 The porridge had more substance, slightly more body from the pebbly grains which was a nice change from my smooth oatmeal. This is my submission to Breakfast Club featuring whole grains, to this week’s Healthy Vegan Fridays and AWED featuring Indian cuisine. 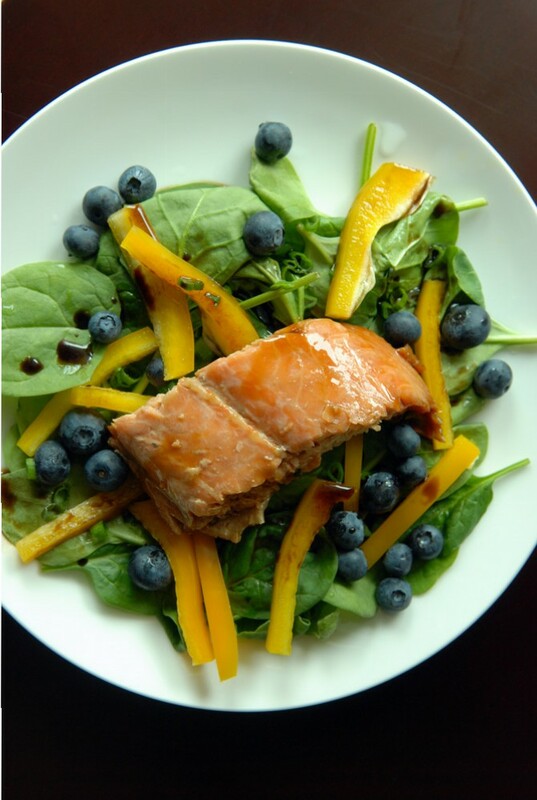 Since I decided to cut out refined sugars and flours, I have found it quite easy to add more fruits, vegetables, legumes and whole grains into my meals. That’s because I cook for myself. I stopped eating the free meals at work and try not to eat out at restaurants. The quandary came, though, when I went away on vacation,where I wasn’t particularly interested in immersing myself in local cuisine. I found some vegan TexMex options (spinach citrus ensaladas and guacamole) but really took refuge at a vegetarian restaurant just outside the heart of downtown San Antonio. I went back a few times! I didn’t know I would find such a delightful resto, so I planned for not finding many vegan-friendly options. In addition to making a bean salad and portable overnight oats, I made some snacks as well. 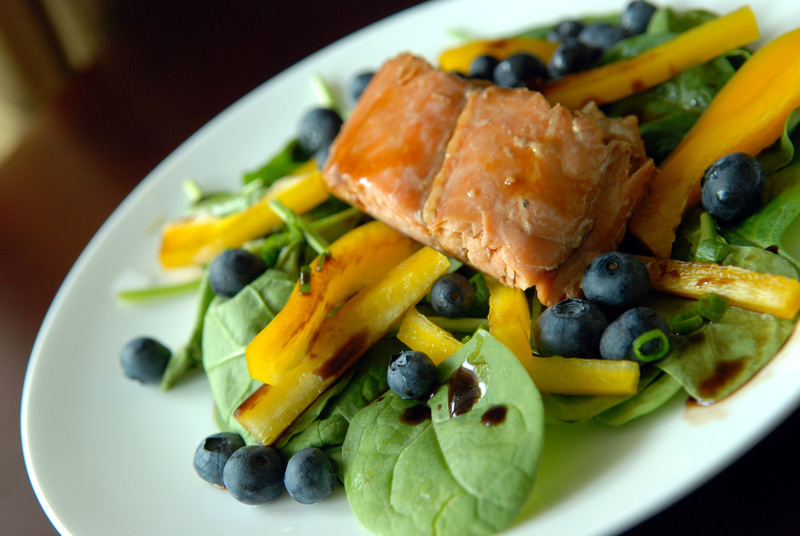 I spotted this simple snack in Moosewood Restaurant Cooking for Health (also posted here). 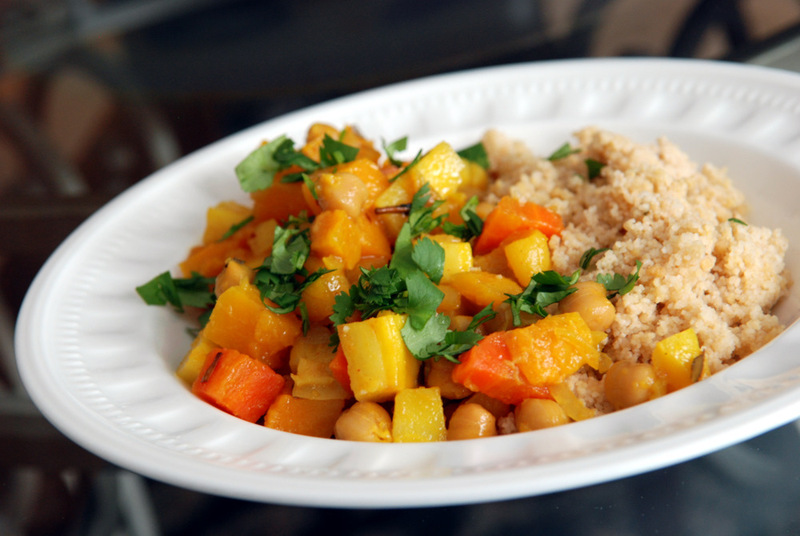 It was easy to put together, tasty with the savoury flavours and healthy, to boot (provided you don’t eat too much!). 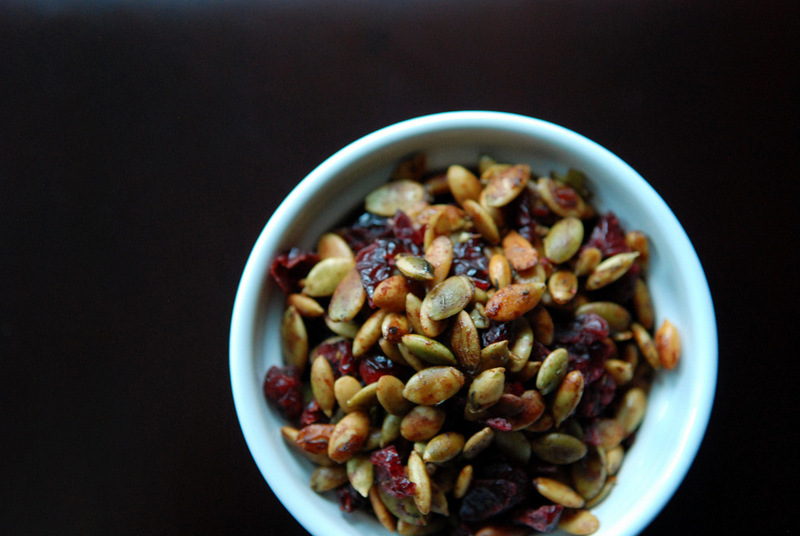 Here, pumpkin seeds (pepitas) are roasted with soy sauce and thyme until nice and golden, then they are tossed with sweet dried cranberries. The sweet-savoury combination works well together. Stored in resealable plastic bags, it is also easy to bring with you for an emergency fix if you have a hard time finding something to eat. For other ideas when travelling, some of my favourite food bloggers have recently shared their tips when travelling as a vegan here and here. This is my submission to this week’s Weekend Wellness and this week’s Weekend Herb Blogging, hosted by Cinzia from Cindystar. A great breakfast always starts your day on the right track. But what to do when you are travelling? Hotel buffets are typically laden with picks like bagels, muffins, pancakes or standard cereal, which don’t interest me these days. 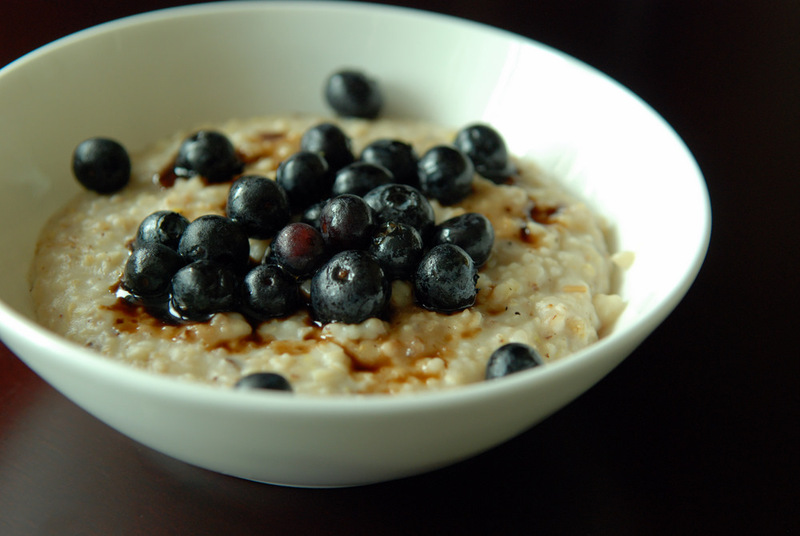 Fruit can be hard to find, and if you have oatmeal, it is usually the quick-cooking oatmeal filled with sugars and flavourings. So what’s a travelling girl to do? Luckily, I knew I had a refrigerator at my hotel, and I knew the hotel breakfast would include fruit (standard across the Drury chain). I loaded up on apples, bananas and oranges in the morning and then devoured them along with my portable overnight oats. The benefit of nondairy milk in tetrapacks is that I can travel with it very easily before it has been opened (no refrigeration needed). 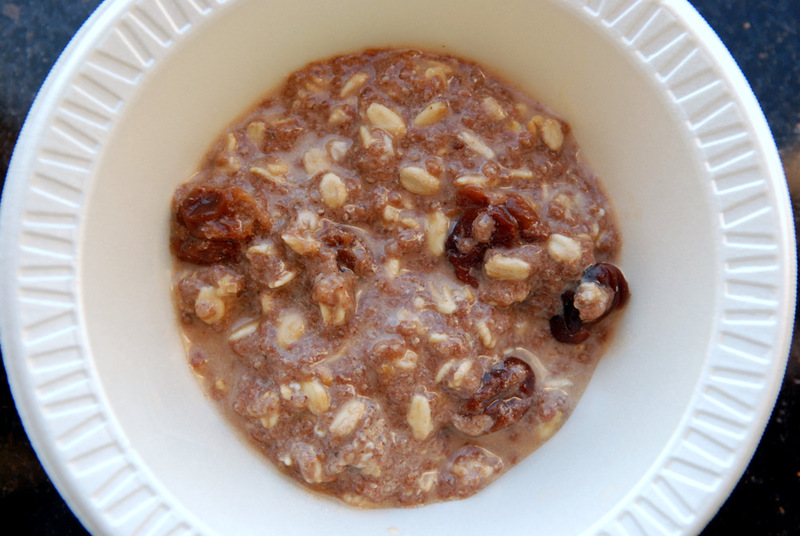 Before I left home, I created a dry mixture for my overnight oats, including rolled oats and chia seeds. I decided to flavour it with cocoa, dried cherries and a touch of cinnamon. Each night, I added 1/4 cup of the mixture to 1/2 cup of almond milk and let it chill overnight in the fridge. Sometimes I would add more milk the following morning, depending on whether I wanted it more runny. Combined with fresh fruit, I was a happy camper. 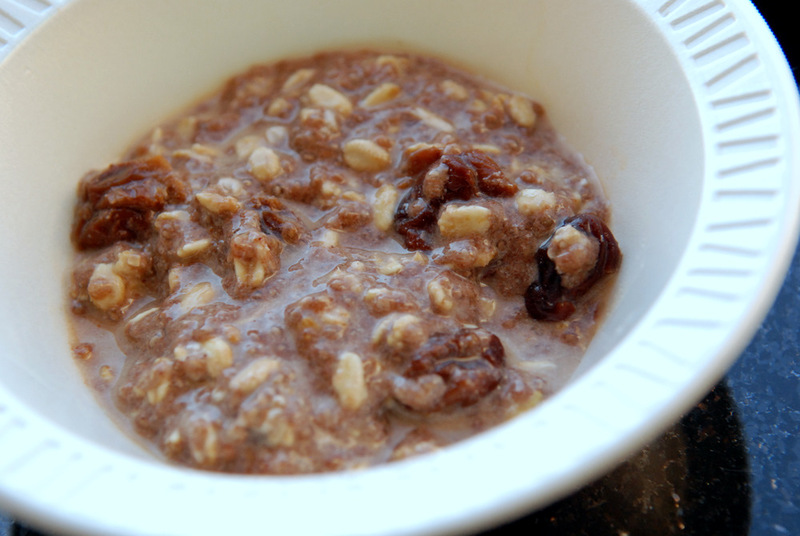 Healthy breakfasts can be easy while travelling! 🙂 This is also an easier way to create them at home, so that you don’t have to measure out the ingredients every time. 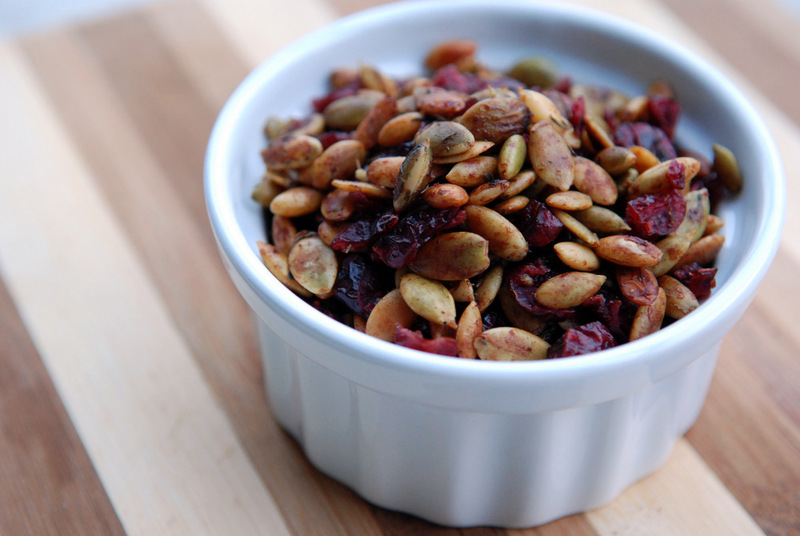 I found the dried tart cherries to work incredibly well with the cocoa flavour, but dried cranberries could work, too – they would just be a bit sweeter. Engrish amuses me. My favourite Engrish while I was travelling in Japan was a sign at a construction site next to a water pipe that said: “I trouble it. I fix the sewage trachea.” I know I shouldn’t laugh but I snapped a picture and giggled all night long. I have done a bit of travelling lately and instead of eating out, I was planning on eating in and bringing some healthy food with me for the trip. 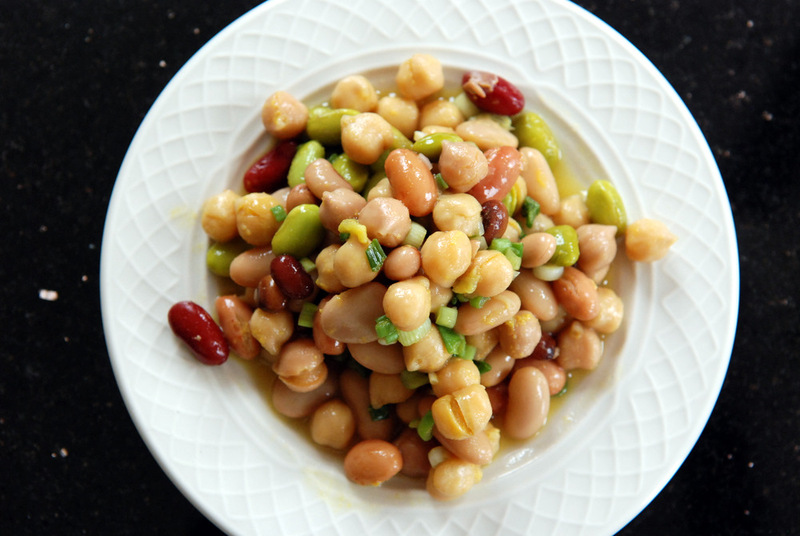 I spotted this (since adapted) quick and easy bean salad in The Two Week Wellness Solution and stopped by Friends on the way from home from work to pick up some canned beans. Friends is a curious convenience store packed with Middle Eastern staples like pomegranate molasses, flat bread and of course, beans. 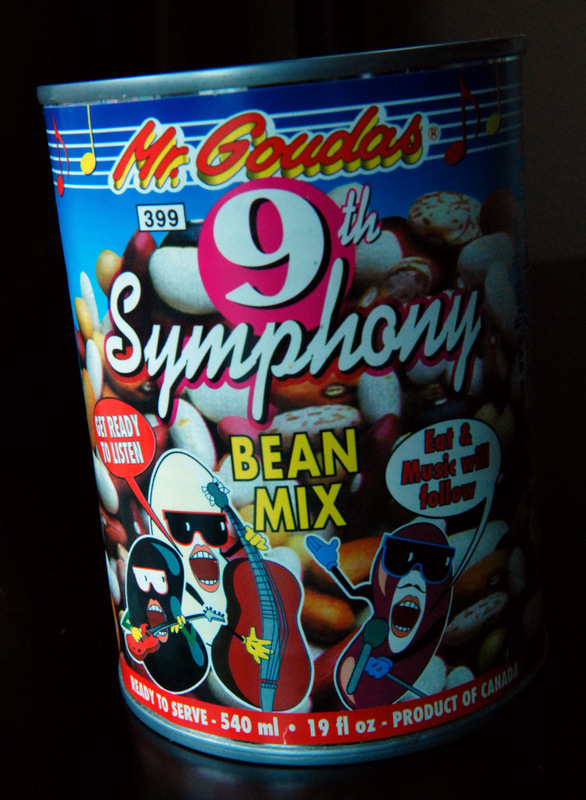 I had a few choices but I was in hysterics when I came across Mr Goudas’ 9th Symphony Bean Mix. The label alone made me want to try it out (look at how advertising works! 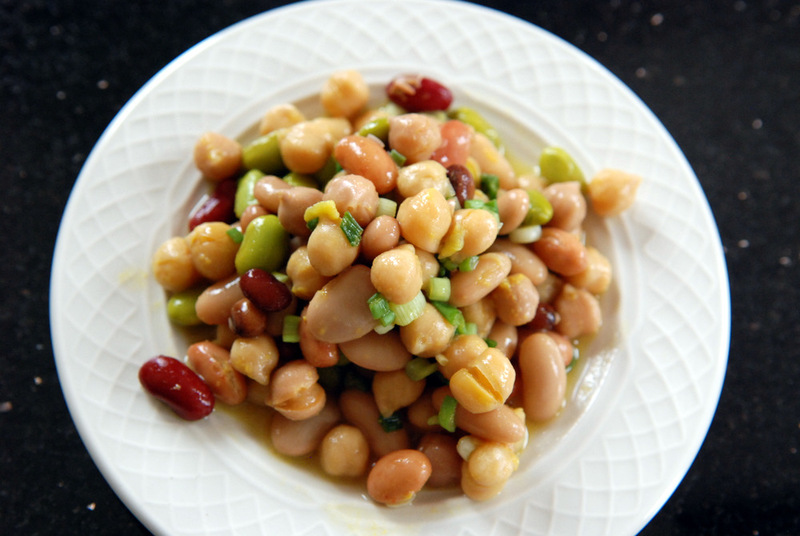 ), but in truth, compared to Unico’s bean medley, it included a wider variety of beans, as well as fewer calories and more fiber. Ever wondered what produces the gas after eating beans? Beans are filled with complex sugars (oligosaccharides) that we cannot digest. So the bacteria in our colon digest them instead. Unfortunately, one of the byproducts is the associated gas. However, there is something else at play because white and navy beans have a low oligosaccharide level, but have higher rates of flatulence. 1. Soak your beans (overnight is best). Not all beans need to be soaked (ie split peas, lentils, adzuki beans) but soaking helps to leach out the oligosaccharides. Rinse and drain well before cooking to remove the oligosaccharides. 2. Make sure you cook your beans through. No al dente beans, ok? Canned beans should all be cooked through. 3. Start slowly. Gradually add beans into your diet and your body will adjust. 4. If all else fails, consider Beano which breaks down the same oligosaccharides before it gets to the bacteria. 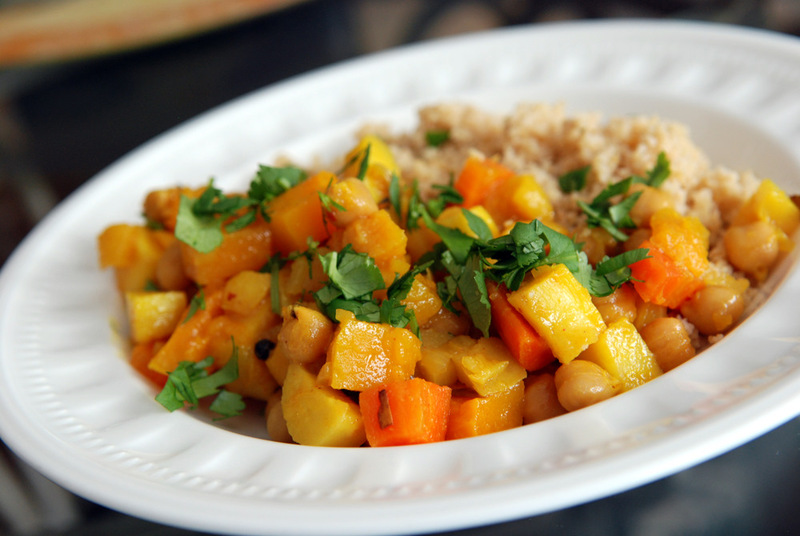 This is my submission to Deb for this week’s Souper Sundays, and to this month’s My Legume Love Affair, hosted by Ammalu’s Kitchen. After gobbling up the last of my Spicy Artichoke Heart Dip, I knew it could be used for more than just a dip. It would be a delicious spread. Even simply as an antipasto, but I wanted to combine flavours. Red pepper, check. To roast or not to roast? Not to roast. A bean perhaps? Chickpeas? Nah, let’s go with tofu. Tofu is a blank slate, so an Italian-inspired lemon-rosemary baked tofu seemed like a good complementary panel of flavours. But then the question, how to assemble? Tortillas? Nah… I rummaged in my cabinet and found rice paper rolls. I should probably be scared of food that is still good years after I have bought them, but do not fear the rice paper roll. Only fear them as leftovers, because they don’t like to be eaten the next day. 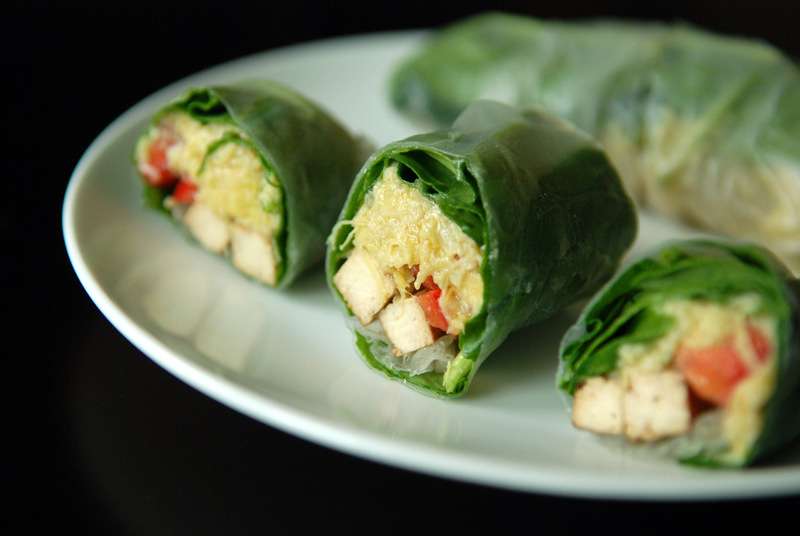 So, the first day, I assembled the ingredients into fresh rice paper rolls. The next day, I deconstructed the roll into a salad. I just stuffed the spinach, red pepper, tofu and dip together in a container and brought it to work as a salad. The dip was silky enough to coat the spinach as a dressing. The tofu made it a satisfying main meal. And while I didn’t photograph it as a salad, that was probably my preferred, least stressful way to eat it. 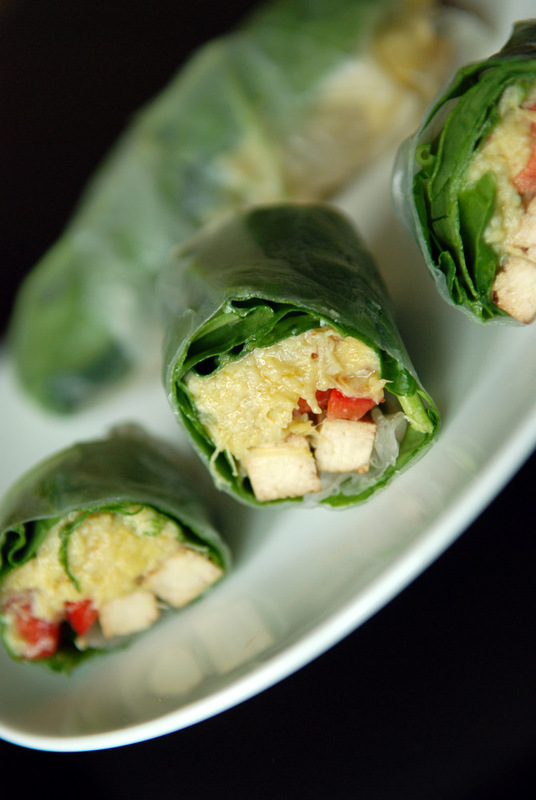 But really, do not fear the rice paper rolls. This is being sent to Deb for this week’s Souper Sundays and to this month’s Healing Foods event featuring artichokes. The worst part of vacationing is returning back to the real world. Especially when you go from 30°C in Texas to -10°C in Toronto: it hurts that much more; that slap in the face that I am still living in winter. No, I can’t take out my bike just yet… maybe in another couple of months, once the salt has been washed away. When I came back, I had a fridge nearly devoid of produce and was looking for an all-pantry meal. I picked up Urban Vegan while down south, so I perused it looking for something hearty and filling. 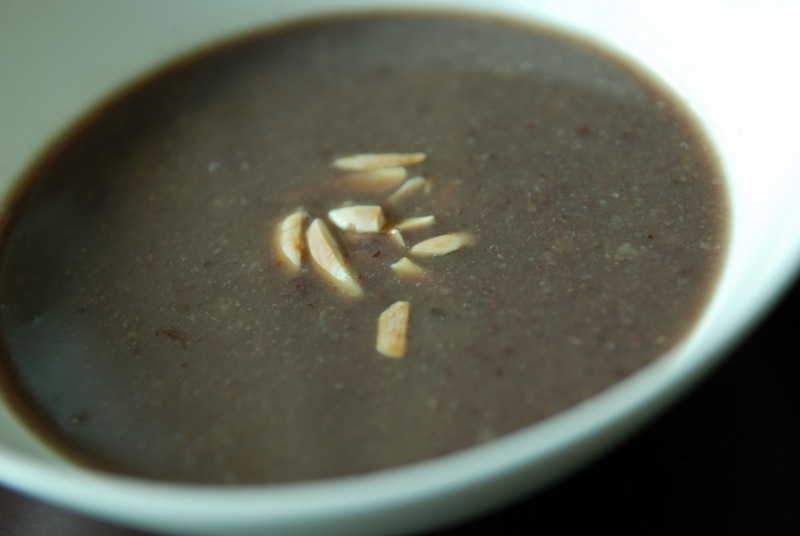 Just as advertised (recipe also posted here), this was a hearty adzuki bean soup. 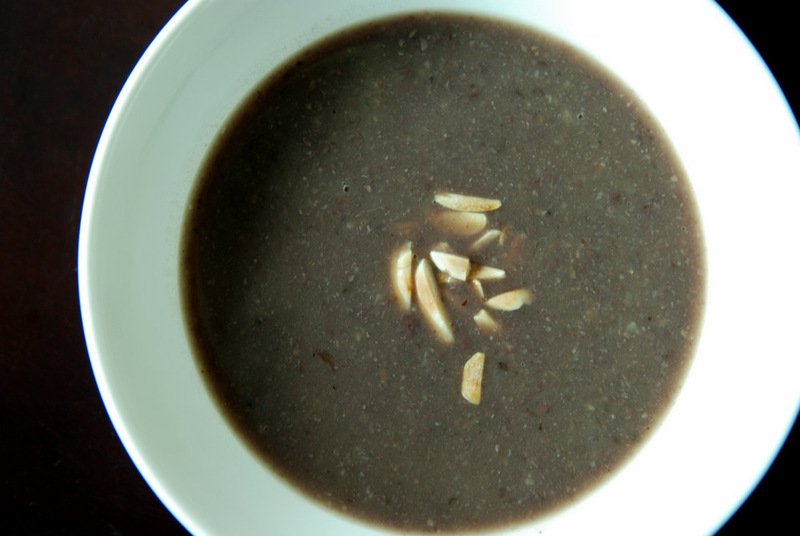 It was also quick to make since adzuki beans do not need any pre-soaking. This hit the spot! 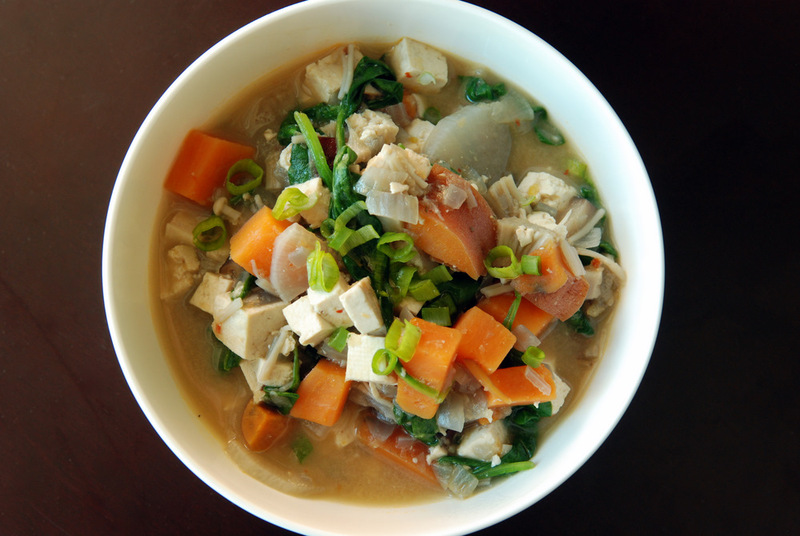 This is a thick, filling soup with sea-like flavours from the kombu. I usually remove kombu after cooking beans, but this time I actually pureed it right into the soup. It was really thick as written with 6 cups of broth (it could be a nice bean dip at that stage), so thin it out afterward to your desired consistency. Do not skip the toasted almonds, as I really think it made the dish. This is my submission to both Ricki and Kim’s vegan SOS challenge and this month’s No Croutons Required featuring adzuki beans. Most kids are picky eaters. I was no exception. I remember hating whole wheat bread, with the oats on the crust. I’d tell my mom I refused to eat the “eggshell bread”. My mom was pretty stern in the kitchen, and always made me finish eating my food, anyways. While I may have my own food quirks, I think most kids would agree that certain foods are no fun. Lima beans, anyone? Brussels sprouts, perhaps? Lima beans were definitely not something I liked as a kid, either. I would try to pick them out of the mixed frozen vegetables. To no avail. My mom was watching. I remember them being small, flat green beans with a firm texture. Yellow wax beans were more up my alley back then. So when I saw Ricki smitten with fennel after her Hated Vegetable Challenge, I figured I would open my bean repertoire and try out lima beans again. As an adult (am I really an adult now? well at least my palate is!). My source for dried beans is Bestwin, where I can find the standard fare of chickpeas (split, desi, black, etc), black beans, and assorted lentils (red and brown but not French du Puy or black beluga). They have black eyed peas, pinto beans, and, to my delight, lima beans as well. 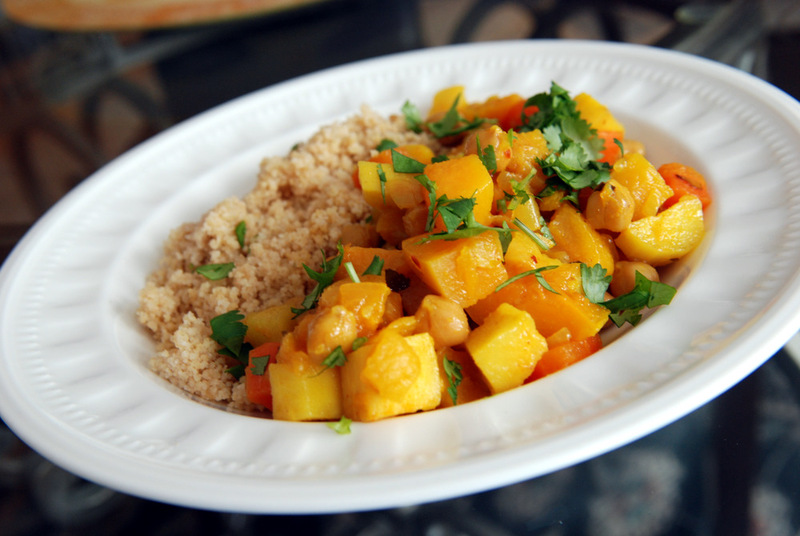 I picked out a Moroccan lima bean tagine from Tagine by Ghillie Basan. It was not like anything I had encountered while in Morocco, as I skipped the Northern Mediterranean coast with its Spanish flare, filled with roasted cherry tomatoes, black olives, ginger, thyme, coriander and saffron; and a bit of zip from chili flakes. An exotic savoury blend wherein the flavours worked really well together. And the lima beans, well, they were phenomenal. They expanded to be these silky, creamy smooth pillows if ever beans could do that. But wait! These are not the lima beans I remember from my childhood! Reverse, reverse…. what did I buy at Bestwin? 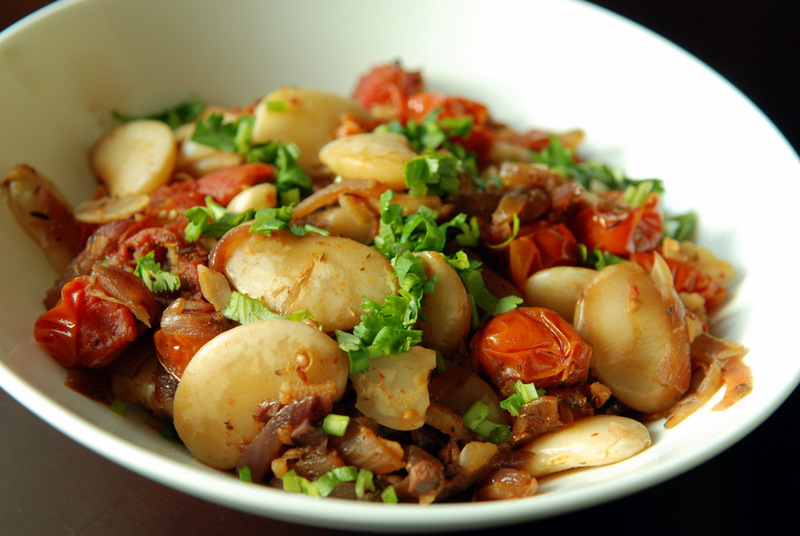 Lima beans… butter beans… habas grande. These must be giant lima beans! Further research tells me that lima beans (Phaseolus limensis) and butter beans (Phaseolus lunatus) are different, yet similar since they are related. The lima bean tends to be larger, though. And those small green ones I remember? They are more akin to baby/green lima beans. 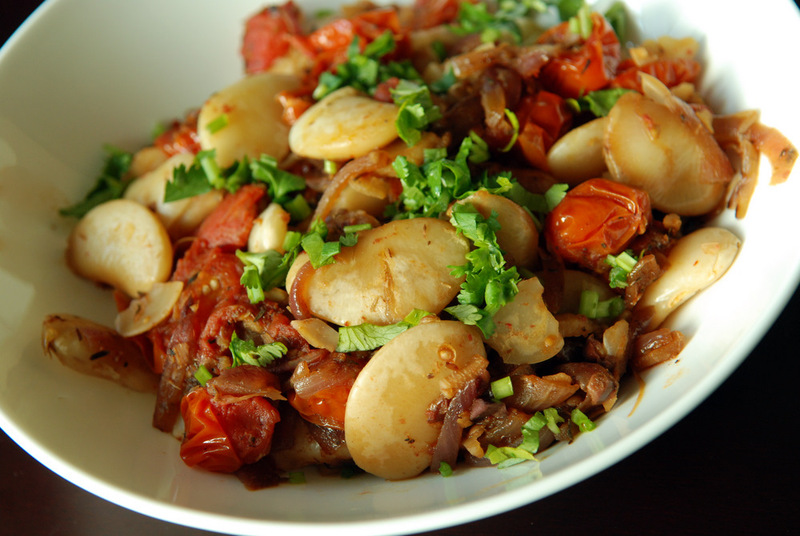 Either way, this was a great experiment with lima beans. I have found a new beany friend.